Meltzer reported in December that WWE has dates in Saudi Arabia booked for May and November of 2019. When asked to confirm the date of the May show, WWE responded that they "haven't announced" it. 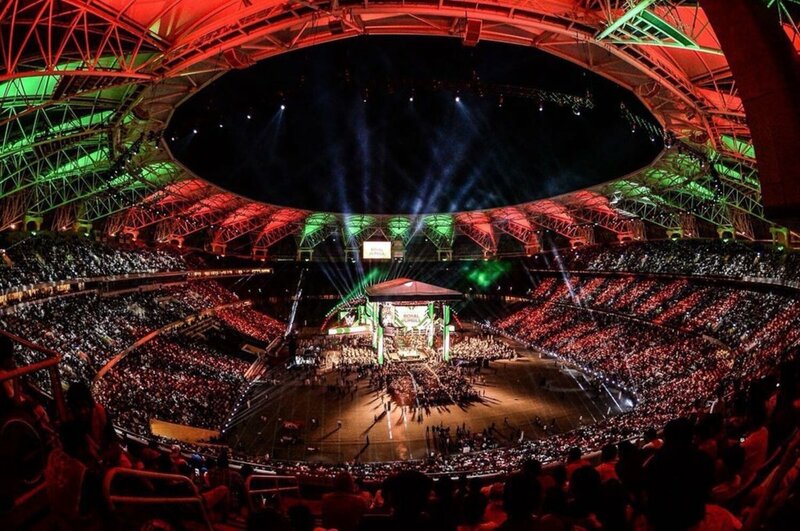 WWE's 10-year agreement with the Saudi General Sports Authority began with last April's Greatest Royal Rumble and continued with Crown Jewel in November. Women weren't allowed to wrestle at either show (though Renee Young was part of the commentary team for Crown Jewel), and WWE went on with Crown Jewel as scheduled despite Crown Prince Mohammed bin Salman's reported involvement in the planning of Washington Post columnist Jamal Khashoggi's murder. WWE didn't mention Saudi Arabia by name on the Crown Jewel broadcast.